Additional Information: Founded by Pooja Nagdev, a renowned cosmetologist and internationally acclaimed expert on natural ingredients, Inatur Herbals comprises of a wide range of natural skin care, hair care and personal care products that are safe on skin and result oriented. Their products have certification like GMP, ISO & HALAL, and are awarded for sophisticated environment and quality management systems. The brand believes that healthy skin is happy skin and so the brand is committed to ethical, natural and honest skin and hair care solutions that bring out the best in you and for you! Explore the entire range of Lotions & Creams available on Nykaa. 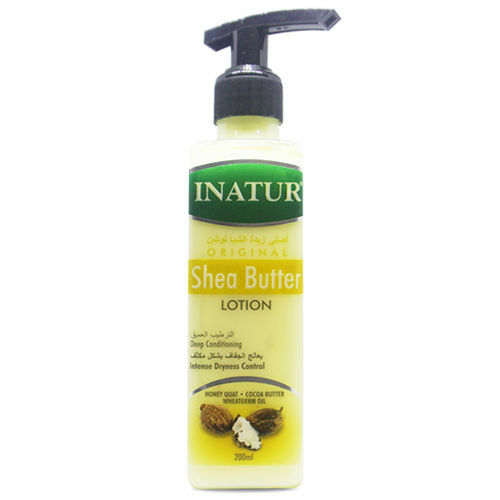 Shop more Inatur products here.You can browse through the complete world of Inatur Lotions & Creams .